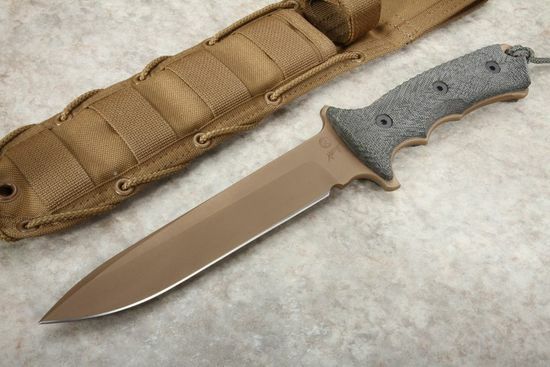 Chris Reeve Knives 7" Green Beret fixed blade designed by Bill Harsey. 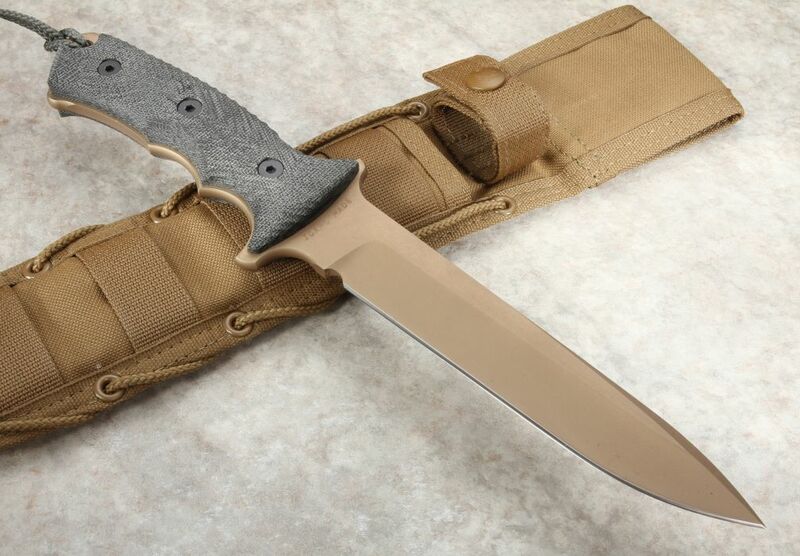 American made CPM S35VN blade with a flat dark earth PVD coating. 55-57 Rockwell hardness. Full tang design. This is a Non-serrated version of the full-size Green Beret knife. Integral lanyard hole in the handle with a cord lanyard attached. The handle is contoured and textured black canvas micarta for an extremely reliable positive grip. Sheath is a First Spear brand sheath made for Chris Reeve Knives. Well balanced and very well designed/made. This will be a Jeep knife for my wife and she is very happy with it. Fast shipping as always from knifeart. Thanks!